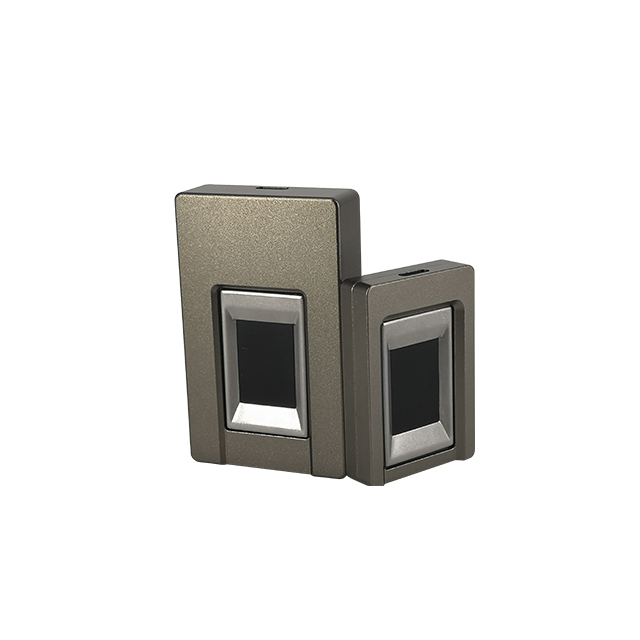 more tolerate for dry and wet fingers. 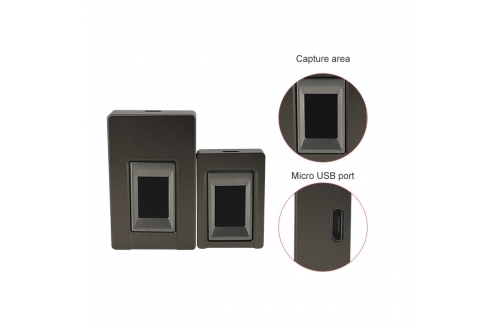 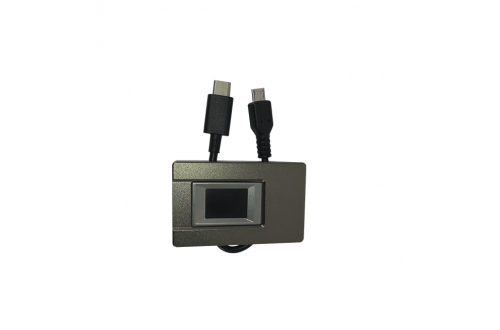 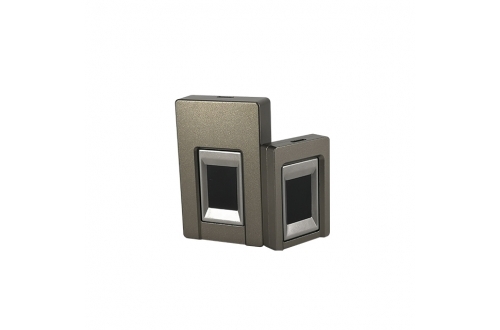 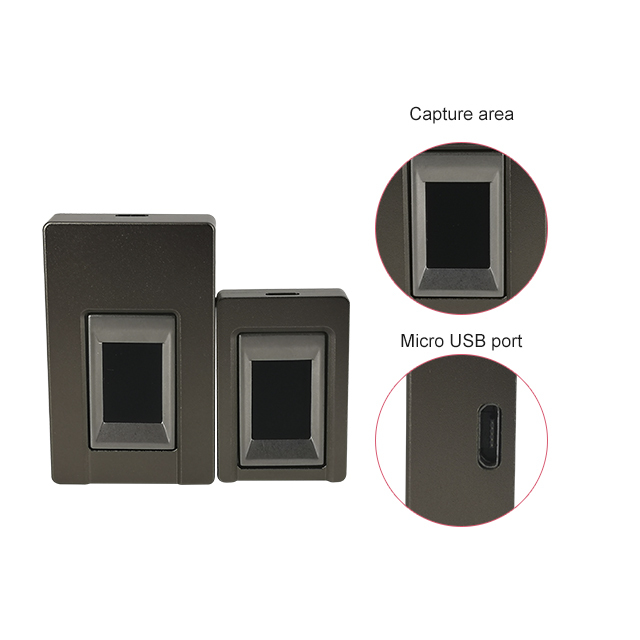 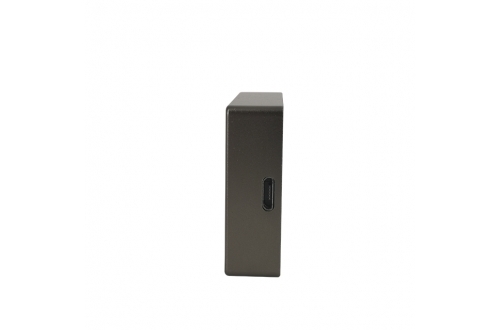 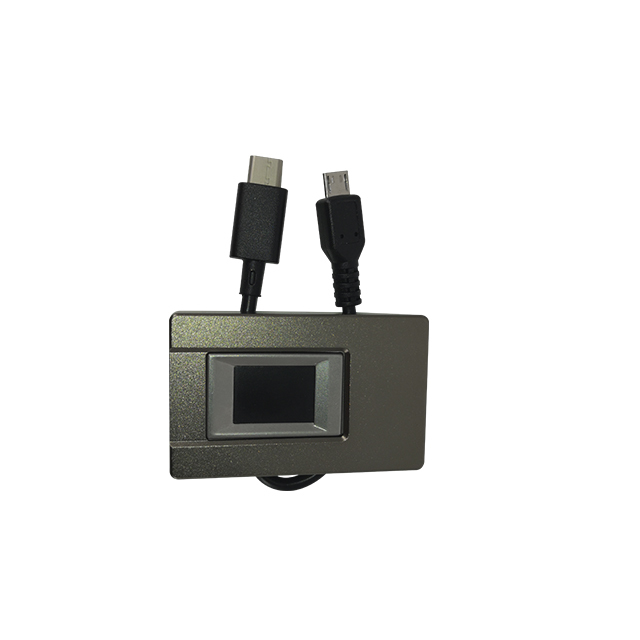 With a mini version, it is suitable for different applications. 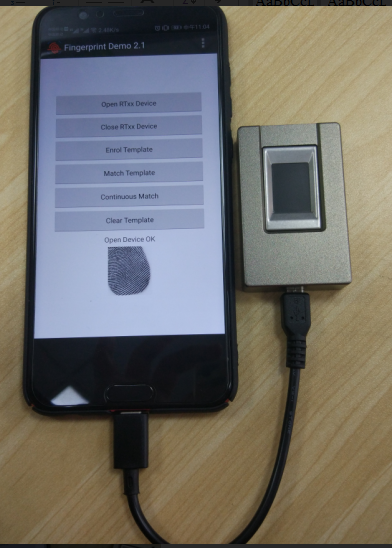 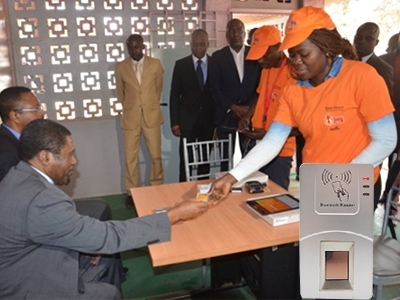 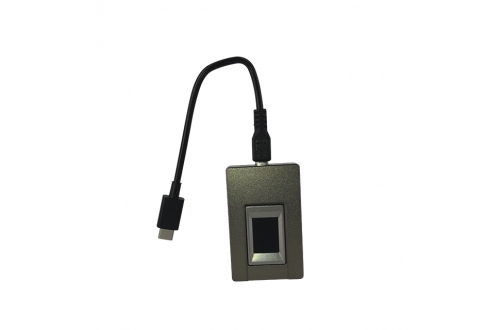 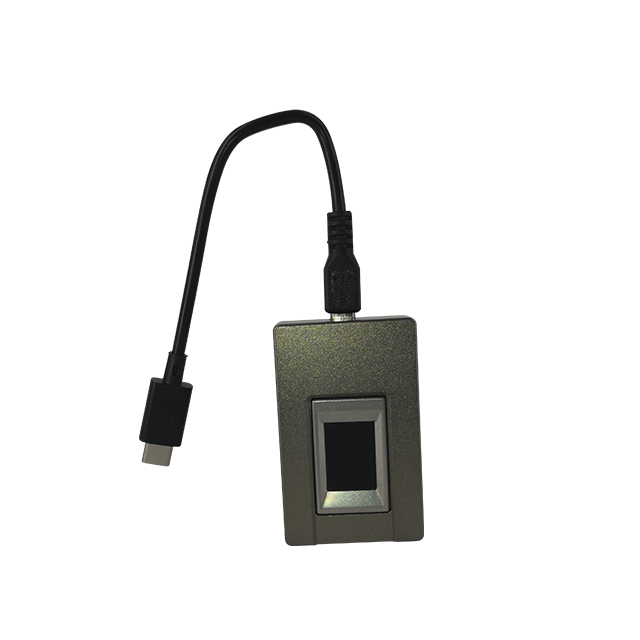 The application demo running on mobile devices is provided for using the HF-CS100/CS100 Mini to achieving fingerprint enrolment, matching and getting fingerprint data. 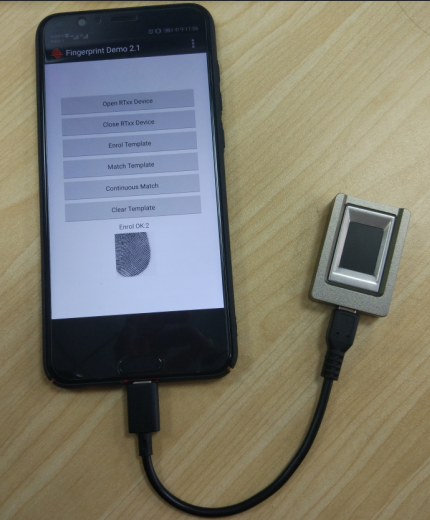 The interface of the application on Android devices is shown below in Fig 1 and Fig 2. 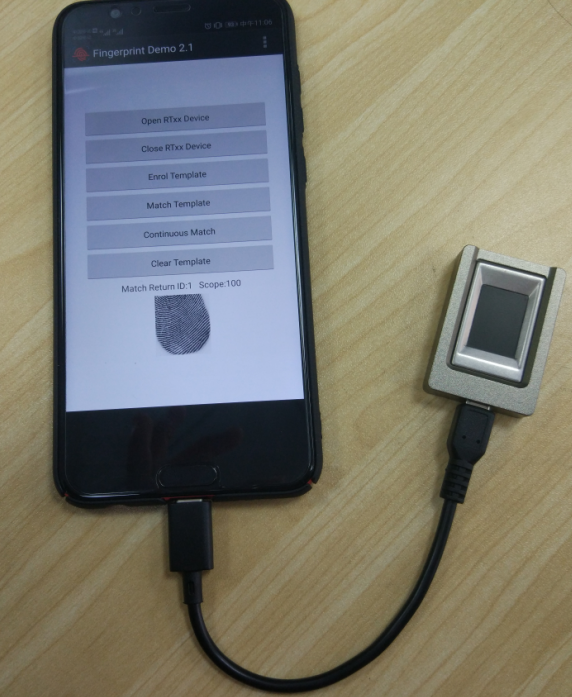 The Fig 1 shows that the fingerprint image is displaying in the App. 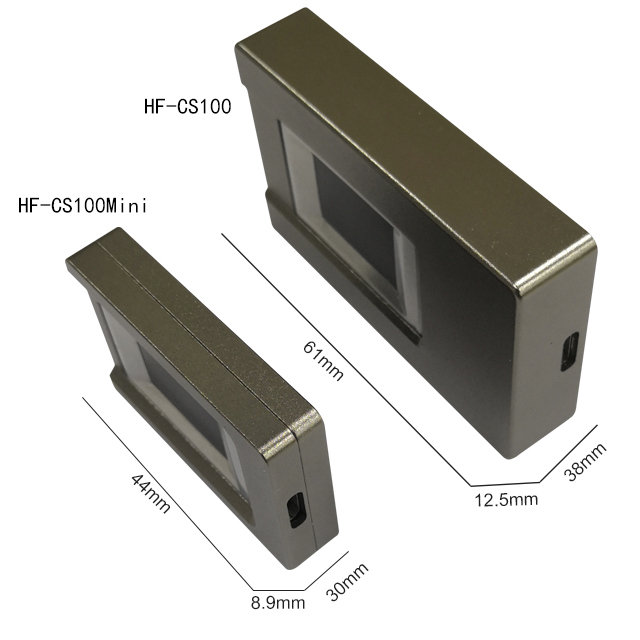 The Fig 2 shows that getting the minutia data from the HF-CS100/CS100 Mini can be matched in the host device. 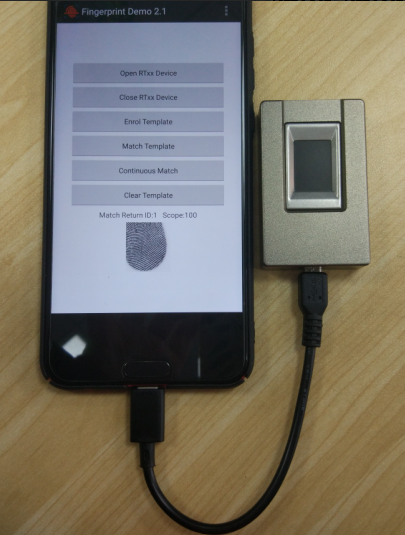 Fig 1 .Getting the fingerprint image from HF-CS100/CS100 Mini .